CBD Oil Review rates Foria CBD with three stars because it qualifies for the Quality, Mission & Innovation Badges. Meet the famous CBD brand originally made for women. Foria dramatically hit the scene by introducing a cannabis tampon for menstrual relief and a THC infused arousal lubricant for women. Since, they have developed non-THC products featuring their pure CBD extract, organic MCT oil sourced solely from coconuts, and other organic plant-based ingredients to boost the wellness of everyone, not just the ladies. We are impressed by Foria’s sustainable business practices and their exciting, unique product offerings. Foria is best known for its original product, Foria Relief: a cannabis vaginal suppository that specifically targets menstrual pain. To say it was well received is an understatement. This all-natural solution to period pain has been featured in the New York Times, Cosmopolitan, and GQ, just to name a few. 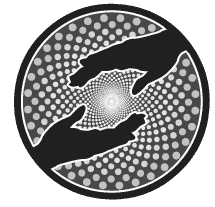 Foria then expanded its cannabis product line to include non-THC offerings (Foria Relief and their other THC-laden products are only available in California and Colorado) that enhance the natural benefits of CBD oil by adding organic botanicals and essential oils. 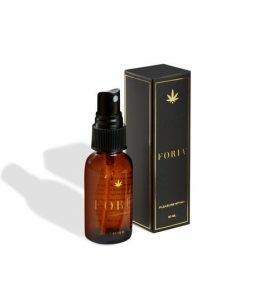 Though Foria got its start developing cannabis products for women, they now offer CBD oil and THC products for everyone. Foria is committed to high-quality cannabis, sourcing from a sustainable grower in Colorado. Said growing operation actually received the Conservationist of the Year Award from the National Resources Conservation Service due to their dedication to soil and water enhancement. Each hemp oil harvest is tested for contaminants, followed by each batch of CBD oil extract, and every final product. Though we believe Foria has extremely safe products, we could not award them the safety badge because they do not actively post or publish their test results. Foria stands out in a few ways, the first being that they are innovators in CBD oil products for women. They also are one of the few CBD companies to use 100% organic MCT oil made exclusively from coconuts (no palm oil). This is a costlier move for the company, but we appreciate that Foria is doing their part to promote sustainability. Foria Awaken is the first all-natural CBD arousal lube to hit the market. It promotes relaxation through its synergistic combo of CBD oil, kava kava root, organic cardamom, and other potent ingredients. Foria Basics are no-nonsense broad spectrum CBD tinctures with organic coconut MCT oil as the carrier. Their last non-THC product, Foria Flow, is a high-quality vape pen that delivers CBD with a blend of terpenes and essential oils for a smooth experience. Their vape pen is reusable, unlike most of the CBD vape pens we see and is yet another example of Foria’s eco-conscious practices. Foria is the first company to hone in on CBD’s benefits for menstrual relief and sexual enhancement, and women everywhere are grateful. They pride themselves on being organic, claiming that if one of their ingredients is not, it means it doesn’t exist. Bottom line, Foria mainly caters to women, yet they plan on adding more diverse products in the near future. A lacking area is charity, as we cannot find evidence of Foria being actively involved in charitable endeavors. We also could not award the safety badge (even though we believe the products are very safe) due to a lack of published test results. Foria sources pure, sustainably-sourced Colorado hemp in its CBD extract and always uses other organic ingredients whenever possible. Foria’s mission is to provide the purest CBD possible and combine it with nature’s other powerhouses to benefit the lives of people everywhere, especially women. Foria is at the forefront of CBD products geared toward feminine and sexual health.